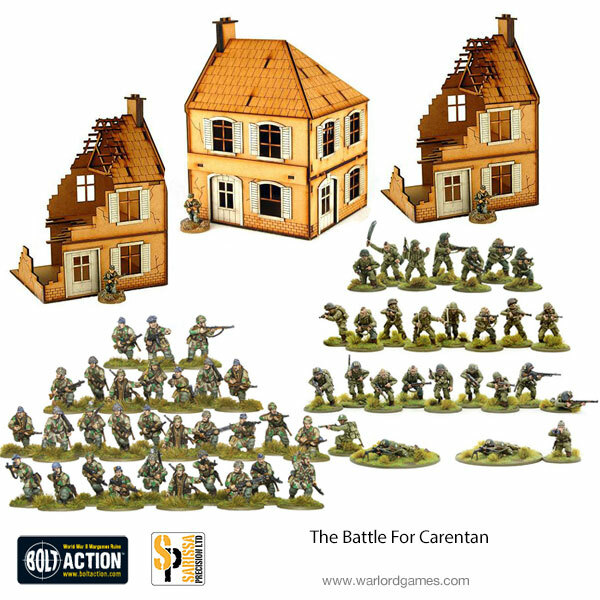 Bolt Action has been Warlord Games' flagship game for quite some time now. And a mainstay of the game is the average, American G.I. Well, as often happens, the kit, while good when it came out, has gotten a bit old and stale. And that's why we're getting a new US G.I. Troopers set. Along with that, there's all sorts of bundles and sets to get you and your buddies playing right away. 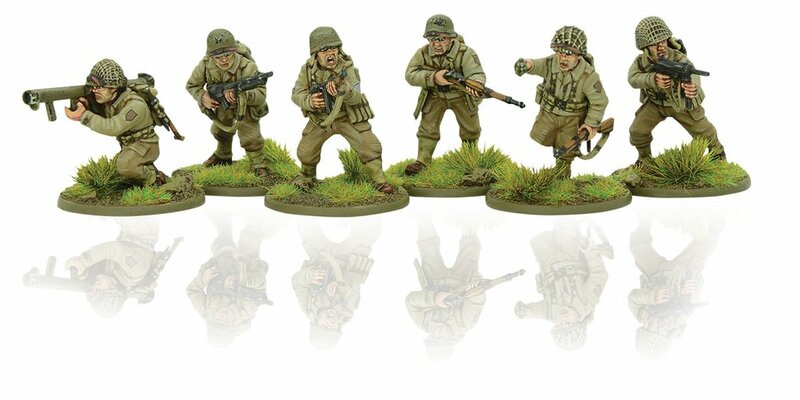 One of our most popular plastic troop sets for Bolt action, the WWII American Gis, has received a long-awaited facelift. 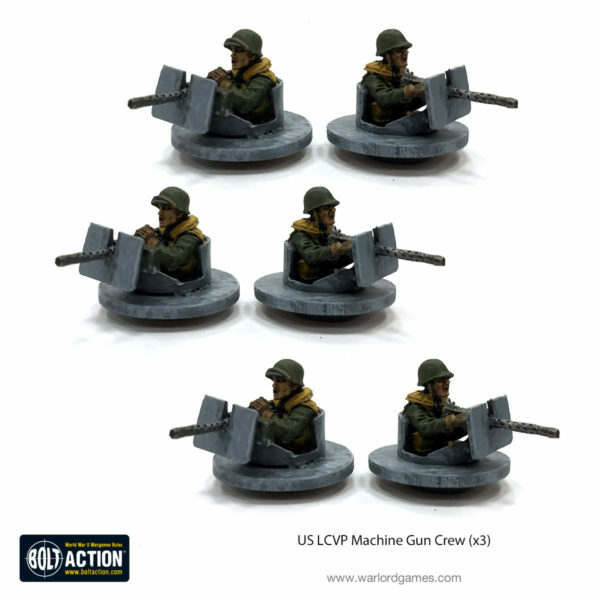 New dynamic poses, better-defined kit, and perhaps most importantly… a Bazooka! 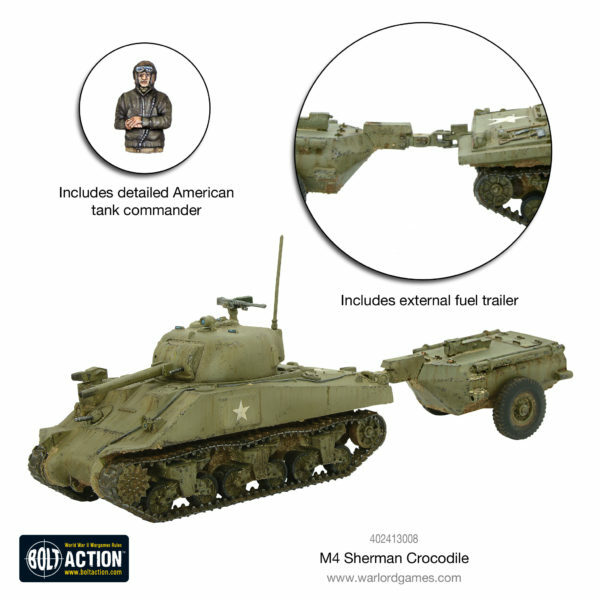 Inspired by the powerful British Churchill Crocodile and their own experiences in the Pacific with other versions of flamethrower tanks the US army ordered some 100 Sherman Crocodile variants from the British, who were recognised as leading the field in Flamethrower technology. Based on the M4A4 (Sherman V) welded hull the Crocodile retained full operation of its turret and 75mm gun and bow-mounted .30 Cal (7.62mm) machine gun. The flame gun was placed above the Bow Machinegunners hatch. All of the flamethrowing equipment was positioned externally, including the iconic wheeled trailer. 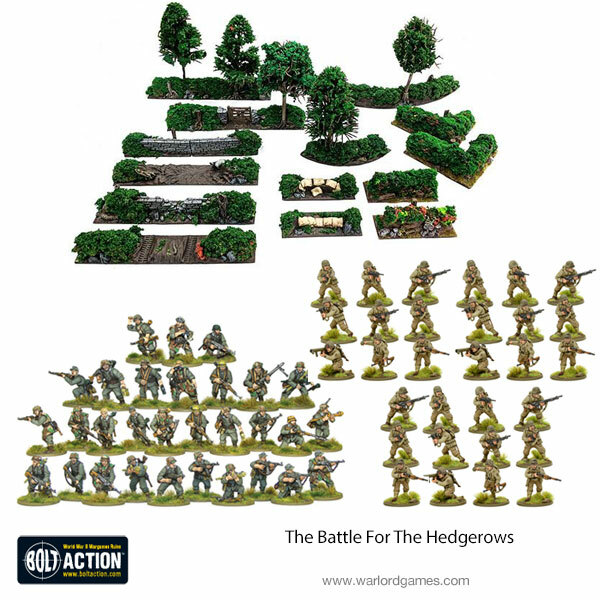 The Allies have launched their combined assault onto the dug-in Axis forces. 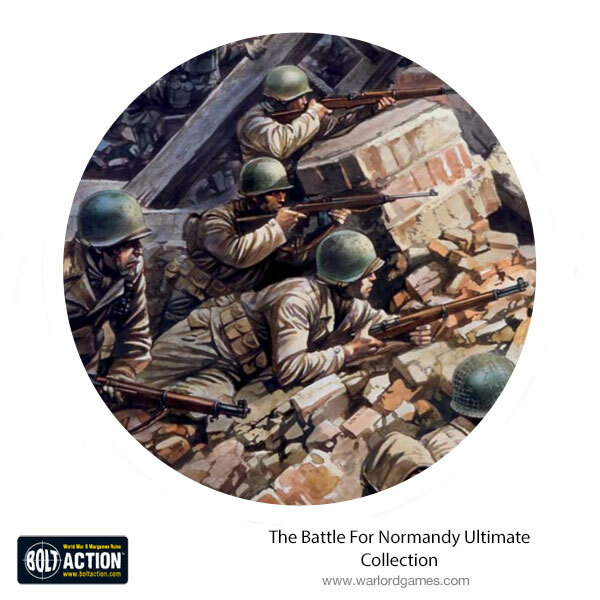 This bundle contains both, the overwhelming might of the US forces dwelling onto the coast of France and the determined defences of the Germans.